if anyone remembers last saturday, you’ll remember that for about the first time in three months the sun was shining! (slight exaggeration but it had still been ages)… which meant it was perfect for a weekend drive down the coastal road (i.e. beaconsfield parade) to brighton + then a quick turn left for a spot of brunch. our destination? 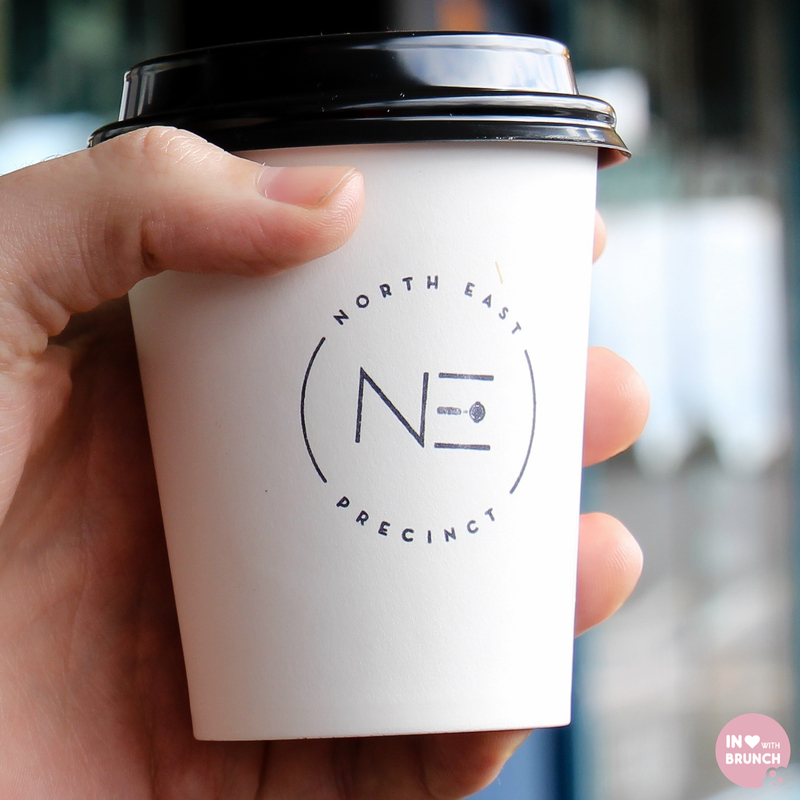 bentleigh east’s newest cafe – north east precinct. 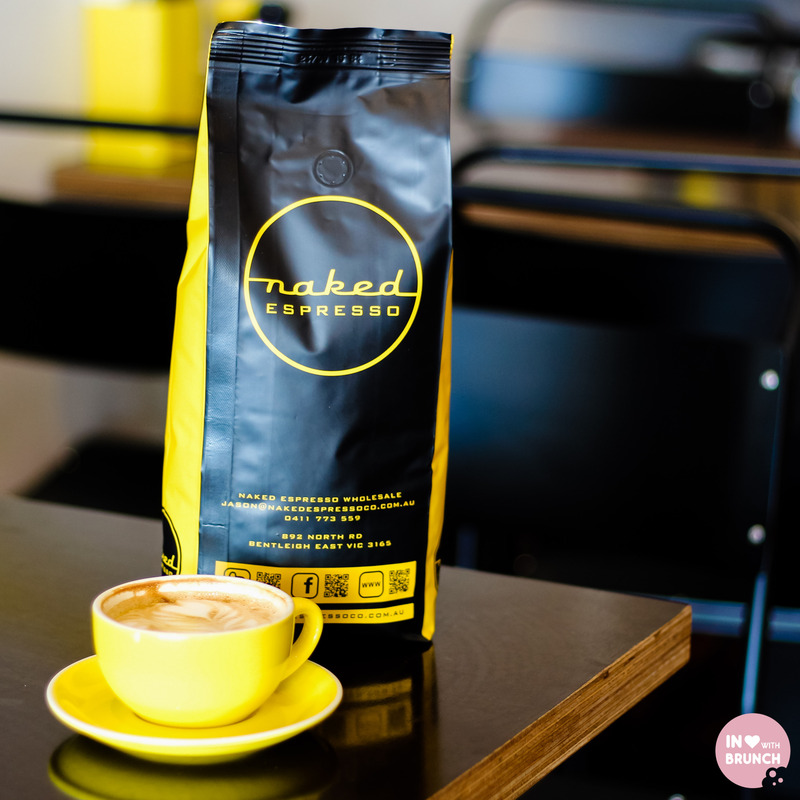 north east precinct is home to naked espresso, which supplies it’s locally roasted beans to over 50 cafes around melbourne. 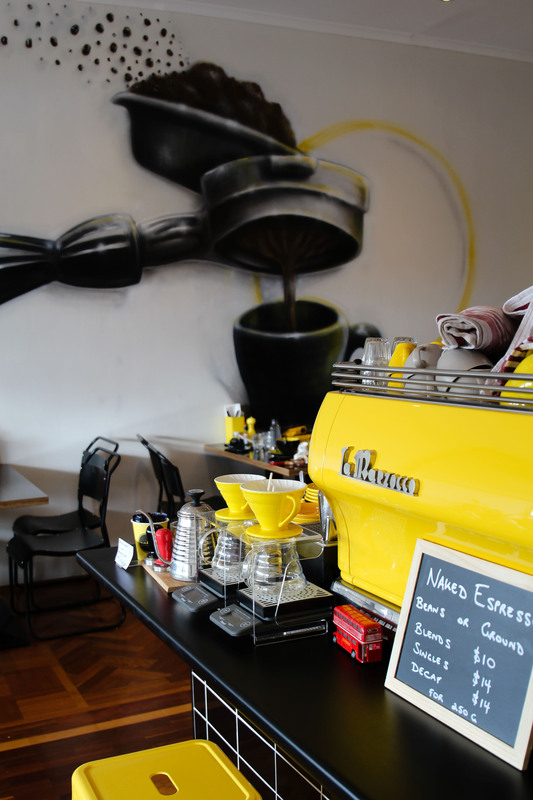 there is a warehouse and a training room out the back of the café, which also includes a ‘coffee museum’ of sorts – taking those in the coffee class through a photo journey of the history and process of coffee-making. these guys stay close to the process at all times – all of the photos were taken during business partner jason berley’s trip to india where they were involved in the picking, drying and selection of the beans. 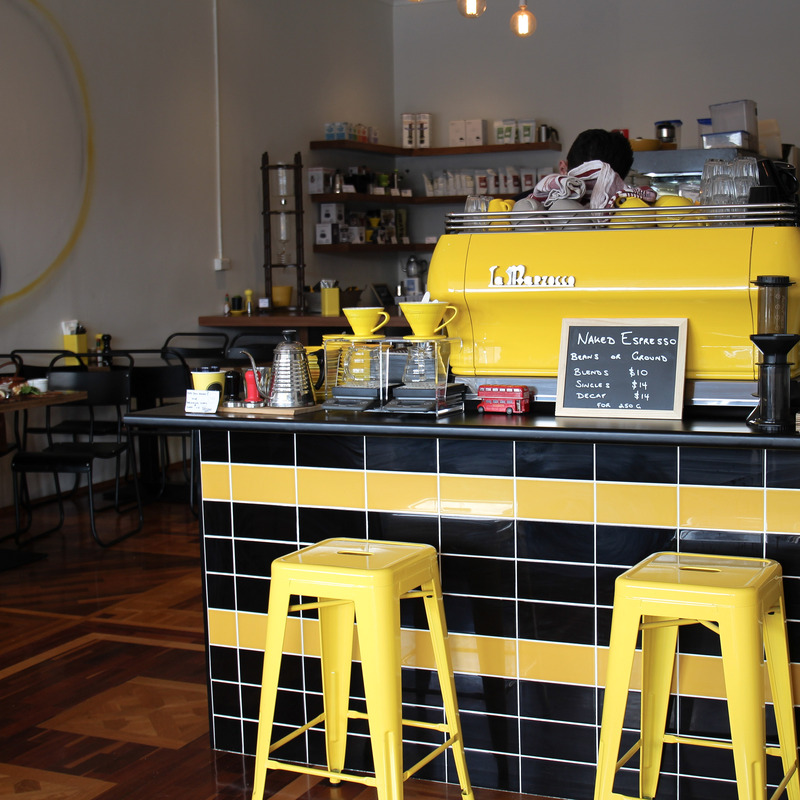 the yellow + black theme is also really cheerful + funky! 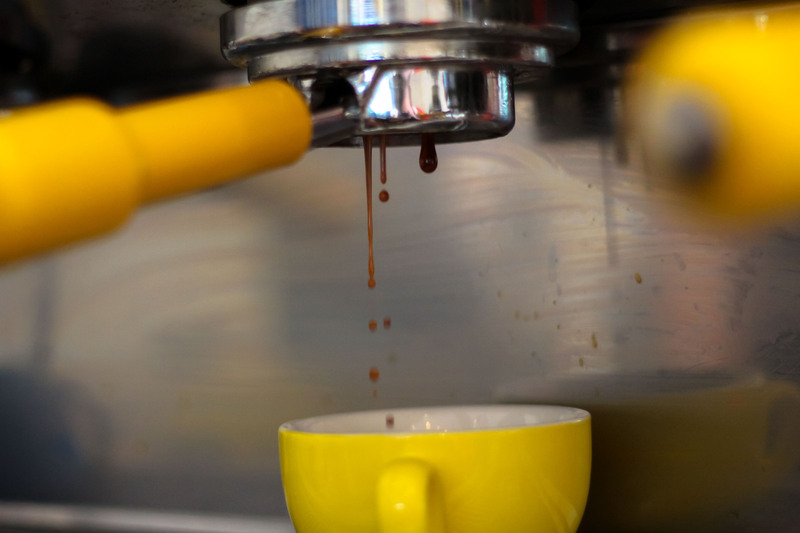 my flat white was served using naked espresso’s signature house blend ‘mega choc’ – one of the smoothest coffees i’ve had in a while with a wonderfully sweet and chocolaty mouth feel afterwards. 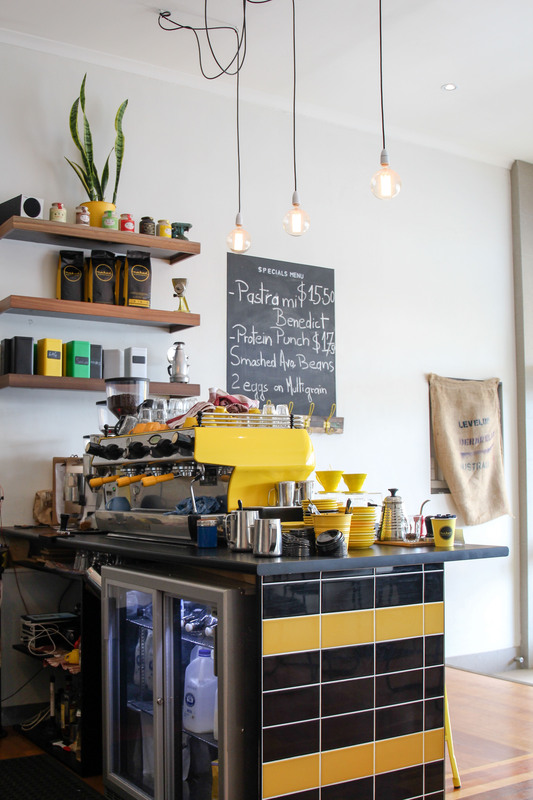 picky-coffee drinkers need not worry – ron and the staff behind the bright yellow coffee machine can also look after you well with rotating single origins, filter roasts and daily cold drips – they are all clear experts in the art of coffee including v60, aeropress and cold drop extraction methods. we tried the cold drip of the day – a panama roteus geisha varietal with a silky body + flavours of nectarine + brown sugar. 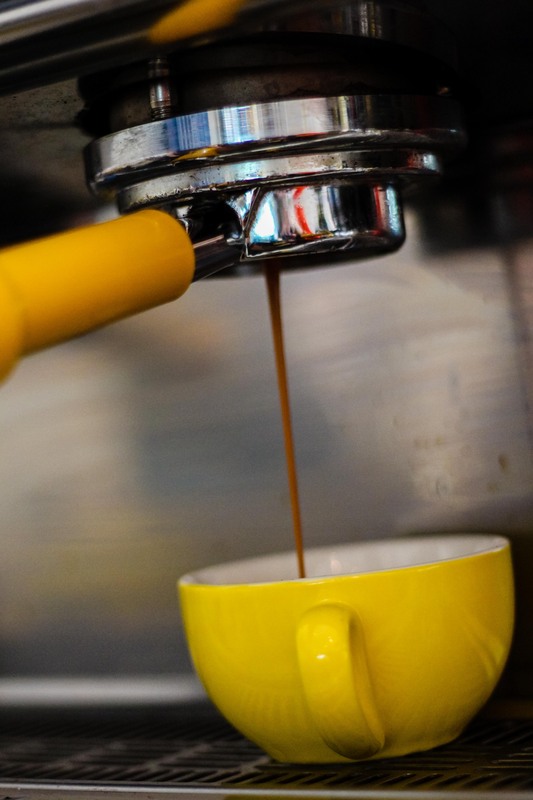 each cup i tried had a story to tell, and one that was told with such joy + passion… it was infectious! this was seriously delicious! 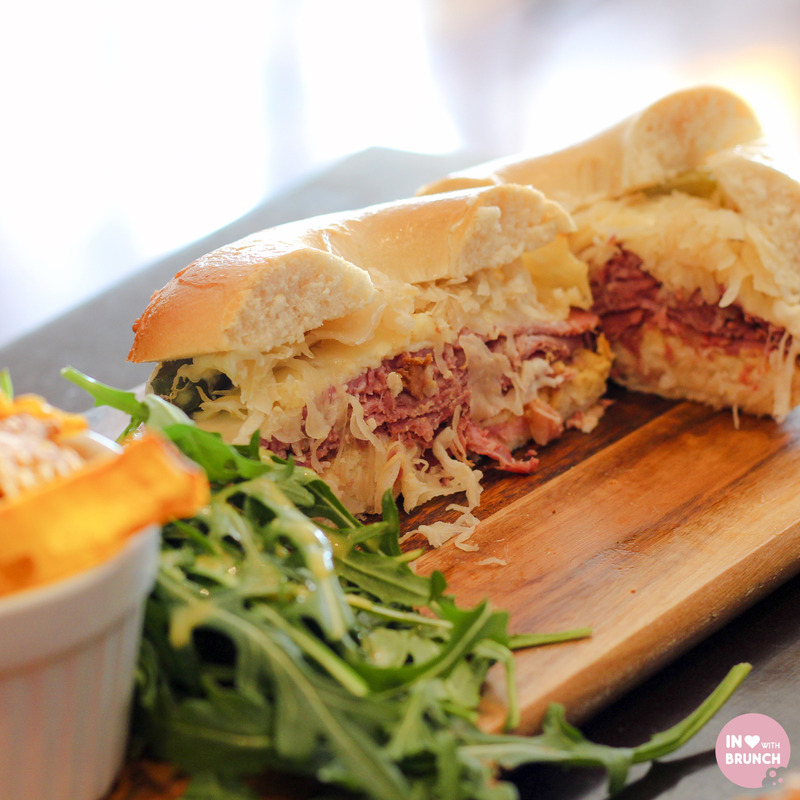 layers of beef that had been hand-made along with pastrami + other deli meats out the back in the cafes very own smoker! the meat had an amazing smoky-sweet flavour and paired well with the bite of the pickled elements + sharp cheese. the bagel was home made + fresh and served with a bowl of freshly made sweet potato crisps. this brought back fond memories of our trip to new york. and its safe to say there was nothing left. 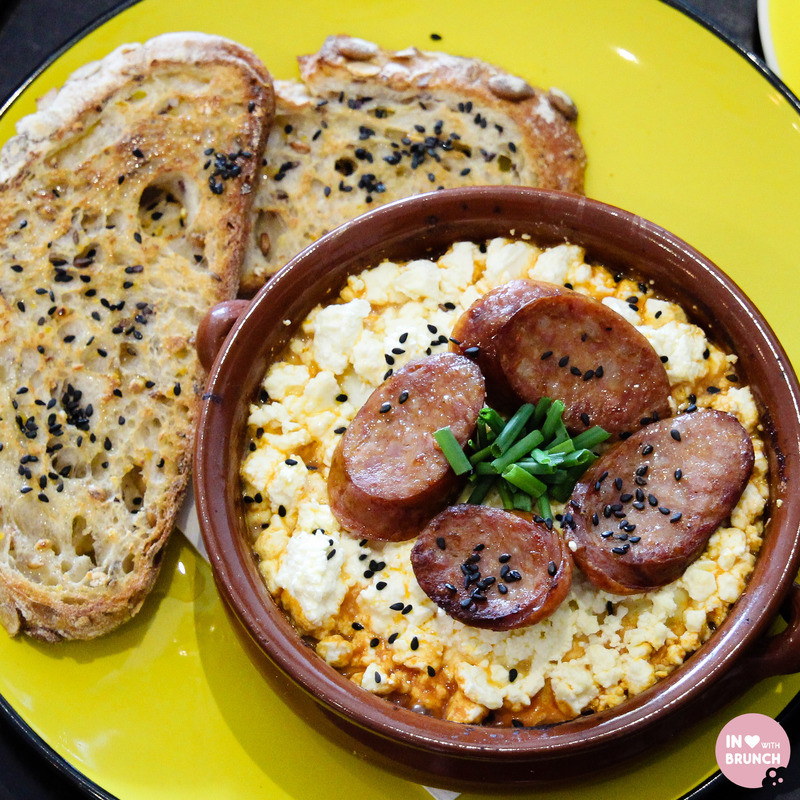 it’s been a while since i’ve had a shakshuka and even just writing about it now is making me crave another. 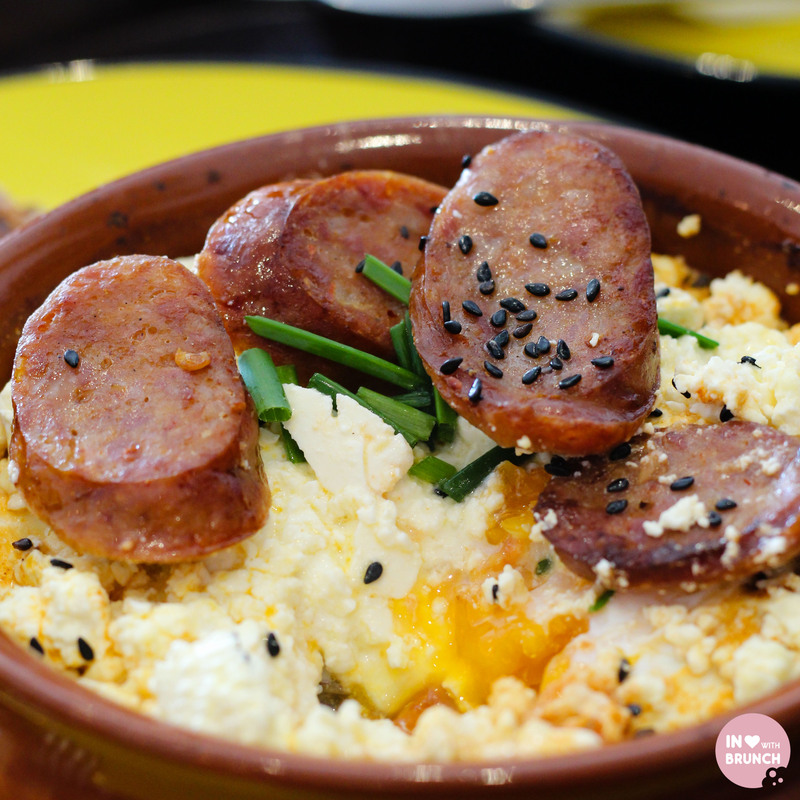 the thick layer of decadent + bitey feta really stood out in this dish. the eggs were wonderfully gooey and the tomato base was well-seasoned with cumin, paprika + other spices. the chorizo was a nice touch for us meat-lovers, but would have been equally delicious in the vegetarian option. yum! a lovely sweet dish to finish our morning off. 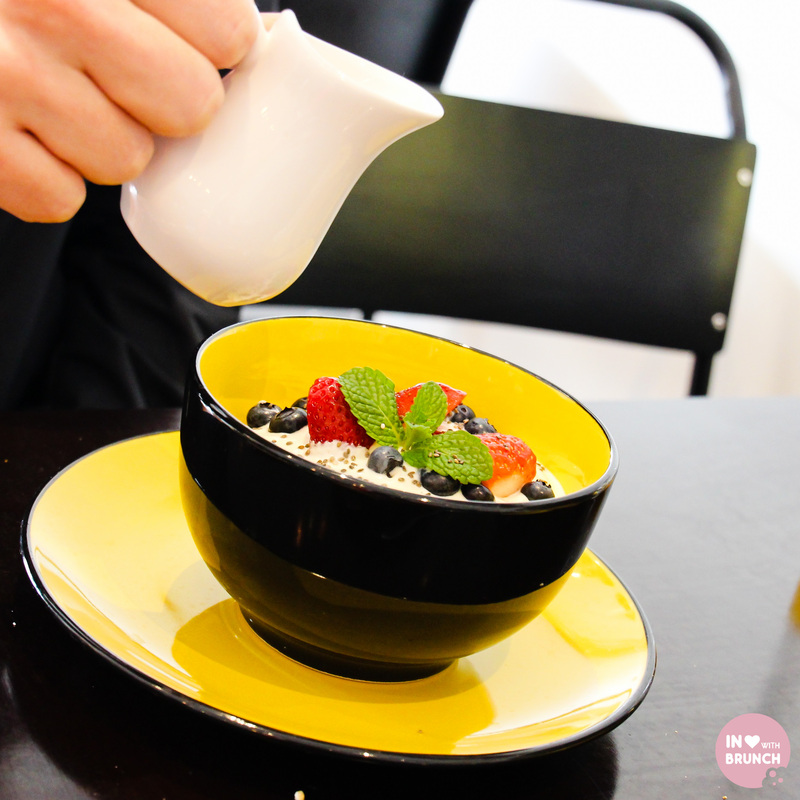 the muesli was sweet and crunchy, with a very evident taste of the burnt fig + cinnamon. the berries on top were plump + sweet. and such a generous serving too! after the first two savoury dishes, there was no way we were making a worthy dent in this. 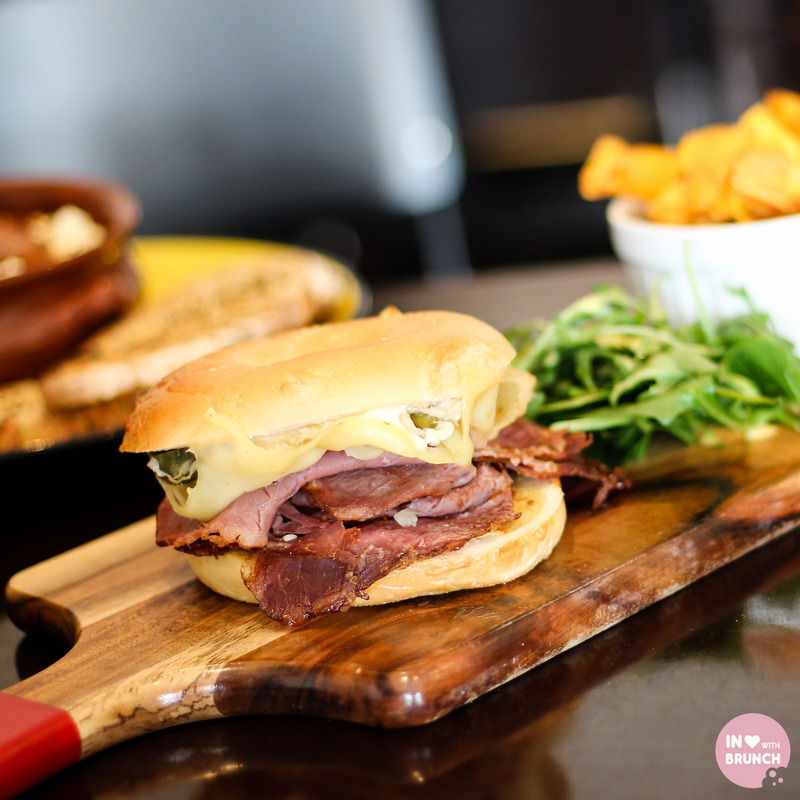 overall, the food really hit the spot – and oozed of quality + freshness. even more impactful, is the fact that the café is committed to giving back to the community, regularly donating meals to disability groups in the neighbourhood, supporting local sporting groups and schools, as well as being a major sponsor and contributor at a ‘youth connect’ held a couple of weeks ago, which saw 700 young people receive training in barista skills from passionate (and patient!) ron. i honestly left feeling so uplifted, once again reminded that there are so many good people in this world – and reminded just how blessed we are to live in australia with fantastic businesses and business people who are willing to give of their time, money, talent and expertise to give back to our communities. it was a truly special visit. 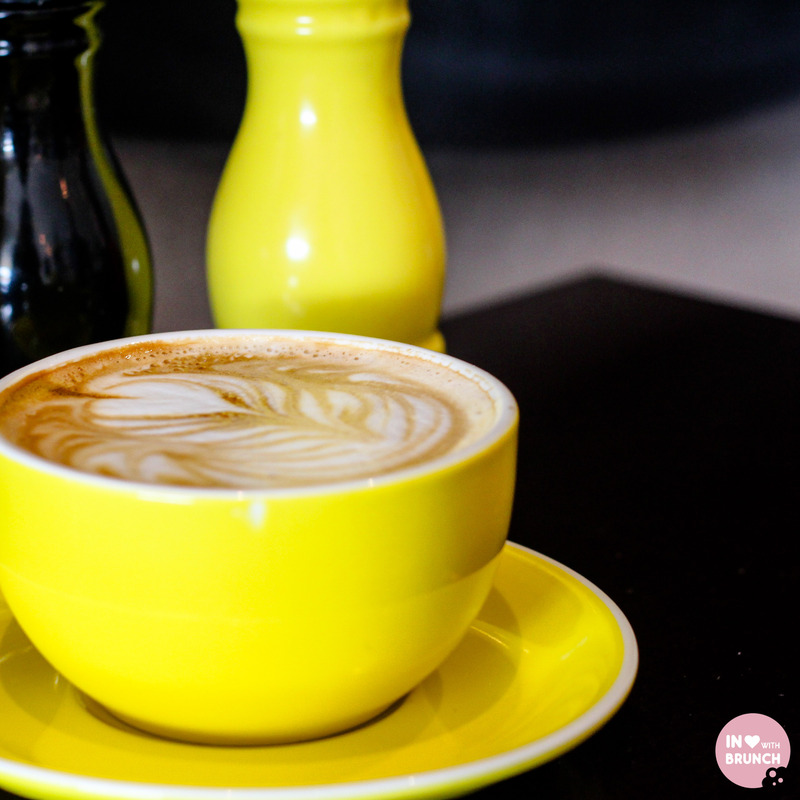 verdict: quality food, coffee + people with so much more to it than just the café!